What happened next was mind blowing! Of course I added my own mini marshmallows and topped it with whipped cream and more cocoa powder because it just wouldn't be hot chocolate without it. 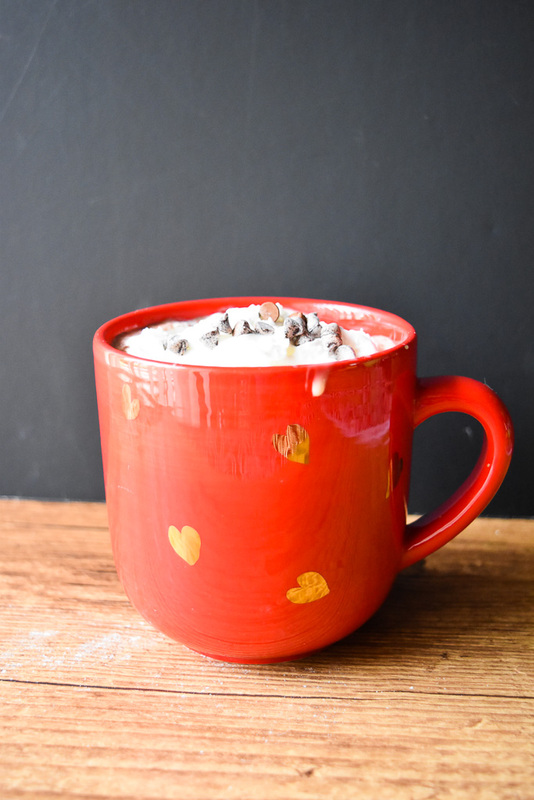 So pull out your hot cocoa mix or your unsweetened cocoa and let's warm up with a big mug together! Combine the cocoa and boiling water in a saucepan. Add in chocolate chips and stir until melted. Stir in 3½ cups of milk and heat until very hot, but do not boil! Add the cream to the mugs of cocoa to cool it to drinking temperature.